Sometimes the decision to sell your home can be an emotional one. Whether you’re moving on to your dream home, moving to a new locale or someplace a little smaller, you’re leaving a little bit of your memories behind. I understand that and will work with you to ensure that you have a positive and rewarding experience while maximizing your investment return. 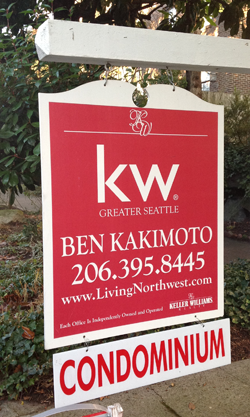 The SCL team at Keller Williams Realty offers unparalleled full-service condo listing, sales and marketing services. Our condo listing and marketing specialists are knowledgeable and market-savvy professionals who understand the needs and requirements of condo sellers, especially in this current market environment. We utilize the latest in marketing technology and options, including live video and 3D virtual tours, to provide your condo vast exposure to the most pertinent buyers, locally, nationally and internationally. For detailed information about selling your condo and our seller services, including our full-service, high-touch marketing plan, please contact us. What’s your condo worth? Let me prepare a complimentary, no obligation Condo Valuation report. Seller Services you can expect from me as your Listing Agent. Learn more about my progressive sales & marketing approach today. Ask about my Seller’s Success Plan. Receive handy tips on selling your home. Are you moving to another community? I can provide relocation assistance and referral to recommended agents throughout the county. Interested to know your home’s value?